Shuttle Mission Return Delayed Due To "Mystery Object"
am surprins pe fuga la stiri ca s-au depistat si alte obiecte... Nasa spune ca sunt "space debris", resturi de la activitatile de pe ISS si naveta. 1) NASA minte si incearca sa musamalizeze, au fost niste OZN-uri! Find out what the government knew about some of the strangest occurences in recent history! From strange sightings to cover-up operations, you'll find the FBI files here. 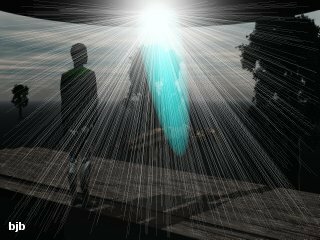 A man and woman in Billerica claim their lives have been altered since a huge, luminous object they said appeared over their porch one winter evening, levitating the woman, blistering the man's hand, and leaving white, powdery material that quickly disappeared afterward. 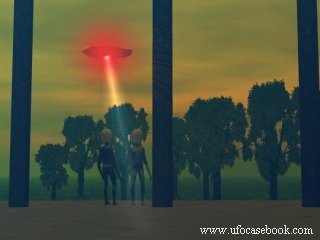 LONDON: A UFO scare was sparked after the police were flooded with calls about a fleet of "spaceships" invading the coast of Britain. Thousands of people spotted the bright orange orbs off the Channel coast at Brighton. 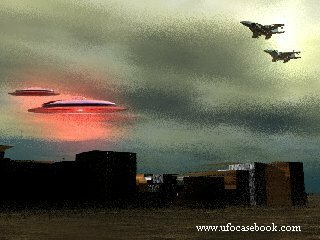 Police and air traffic control centres were inundated by reports of the strange spectacle, the Daily Express reported. Shocked witness James Gordon-Johnson said: "I hadn’t been drinking. I was sceptical about UFOs before but this has changed my mind. "I saw this big orange light in the sky. Then another one appeared in mid-air. Then another. And another." Credeti sau nu credeti...unele experimente cu chimera sau facut deja in unele baze militare top secret.S-a obtinut acea chimera,un animal puternic,mostruos.Acum va las sa cititi cate putin dintr-o alta sursa. Scientists feel that, the more humanlike the animal, the better research model it makes for testing drugs or possibly growing "spare parts," such as livers, to transplant into humans. Watching how human cells mature and interact in a living creature may also lead to the discoveries of new medical treatments. But creating human-animal chimeras—named after a monster in Greek mythology that had a lion's head, goat's body, and serpent's tail—has raised troubling questions: What new subhuman combination should be produced and for what purpose? At what point would it be considered human? And what rights, if any, should it have? There are currently no U.S. federal laws that address these issues. The National Academy of Sciences, which advises the U.S. government, has been studying the issue. In March it plans to present voluntary ethical guidelines for researchers. For example, faulty human heart valves are routinely replaced with ones taken from cows and pigs. The surgery—which makes the recipient a human-animal chimera—is widely accepted. And for years scientists have added human genes to bacteria and farm animals. An ancient Etruscan statue of a chimera found in north-central Italy. The mythic beast had a lion's body, serpent's tail, and goat's head. "There are other ways to advance medicine and human health besides going out into the strange, brave new world of chimeric animals," Rifkin said, adding that sophisticated computer models can substitute for experimentation on live animals. "One doesn't have to be religious or into animal rights to think this doesn't make sense," he continued. "It's the scientists who want to do this. They've now gone over the edge into the pathological domain." David Magnus, director of the Stanford Center for Biomedical Ethics at Stanford University, believes the real worry is whether or not chimeras will be put to uses that are problematic, risky, or dangerous. "Most people would find that problematic," Magnus said, "but those uses are bizarre and not, to the best of my knowledge, anything that anybody is remotely contemplating. Most uses of chimeras are actually much more relevant to practical concerns." Last year Canada passed the Assisted Human Reproduction Act, which bans chimeras. Specifically, it prohibits transferring a nonhuman cell into a human embryo and putting human cells into a nonhuman embryo. Cynthia Cohen is a member of Canada's Stem Cell Oversight Committee, which oversees research protocols to ensure they are in accordance with the new guidelines. She believes a ban should also be put into place in the U.S. Creating chimeras, she said, by mixing human and animal gametes (sperms and eggs) or transferring reproductive cells, diminishes human dignity. "It would deny that there is something distinctive and valuable about human beings that ought to be honored and protected," said Cohen, who is also the senior research fellow at Georgetown University's Kennedy Institute of Ethics in Washington, D.C. But, she noted, the wording on such a ban needs to be developed carefully. It shouldn't outlaw ethical and legitimate experiments—such as transferring a limited number of adult human stem cells into animal embryos in order to learn how they proliferate and grow during the prenatal period. Irv Weissman, director of Stanford University's Institute of Cancer/Stem Cell Biology and Medicine in California, is against a ban in the United States. "Anybody who puts their own moral guidance in the way of this biomedical science, where they want to impose their will—not just be part of an argument—if that leads to a ban or moratorium. … they are stopping research that would save human lives," he said. Later this year he may conduct another experiment where the mice have 100 percent human brains. This would be done, he said, by injecting human neurons into the brains of embryonic mice. Before being born, the mice would be killed and dissected to see if the architecture of a human brain had formed. If it did, he'd look for traces of human cognitive behavior. Weissman said he's not a mad scientist trying to create a human in an animal body. He hopes the experiment leads to a better understanding of how the brain works, which would be useful in treating diseases like Alzheimer's or Parkinson's disease. The test has not yet begun. Weissman is waiting to read the National Academy's report, due out in March. William Cheshire, associate professor of neurology at the Mayo Clinic's Jacksonville, Florida, branch, feels that combining human and animal neurons is problematic. "This is unexplored biologic territory," he said. "Whatever moral threshold of human neural development we might choose to set as the limit for such an experiment, there would be a considerable risk of exceeding that limit before it could be recognized." Cheshire supports research that combines human and animal cells to study cellular function. As an undergraduate he participated in research that fused human and mouse cells. But where he draws the ethical line is on research that would destroy a human embryo to obtain cells, or research that would create an organism that is partly human and partly animal. "We must be cautious not to violate the integrity of humanity or of animal life over which we have a stewardship responsibility," said Cheshire, a member of Christian Medical and Dental Associations. "Research projects that create human-animal chimeras risk disturbing fragile ecosystems, endanger health, and affront species integrity." Cica un OZN s- a prabusit in Mexic, sunt si niste poze, in care un OZN apare incarcat pe un trailer. Parerea mea este ca e vorba de un fals, daca un OZN s-a prabusit atunci l-ar fi tranzportat in timpul noptii si ar fi fost acoperit, nu? HOUSTON, Texas (CNN) -- NASA's plans for returning people to the moon -- an objective called for by President Bush in 2004 -- includes establishing a permanent outpost that would be used to prepare for a manned trip to Mars. The moon base would be at either the north or south pole of the moon, NASA Deputy Administrator Shana Dale said during a news conference Monday at the Johnson Space Center in Houston. Over the weekend, my partner and I flew a Stearman to Palm Springs. About halfway there, we discovered a hard packed dry lake bed. Upon looking closer, we noticed two perfect circles (one inside the other) with a line connecting the two. These circles are at least 100 yards across (Maybe much larger; hard to tell). From the ground we noticed they are not at all visible (we landed to check it out). There was one set of car tire tracks which could easily be seen from the ground and we could see the tracks left from our landing, but these perfect circles were not visible from the ground - only from the air. We could think of no "reasonable" or logical explanation for these markings. Also, as the light changed they became harder to see from the air. These were most visible late morning from approximately 500 feet AGL. Pagină creată în 0.217 secunde cu 43 interogări.